When U.S. Bank was rolling out their “What’s Possible” campaign earlier this year, they chose Cincinnati and Denver to be their first local roll-outs. 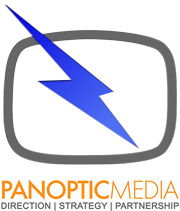 This meant hiring crew and editorial services in both cities, and happily their agency chose Panoptic Media to be their video production and editing resource in Cincinnati. It was comprised of one frenetic day of shooting in several locations that were pre-selected. U.S. Bank representatives presented regular folks with a check to fund whatever they liked. They were obviously well received. We then started the edit that very evening, and worked the next day to polish and finish the piece. As it turns out, they decided on this 30 second version as their strongest message. The agency folks and U.S. Bank were thrilled with the results, meaning we were too!